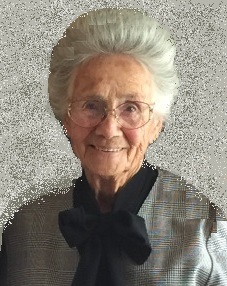 Helen Francis Lansdale died September 2, 2018 in Sulphur, Oklahoma at the age of 85 years 7 months. Graveside services are scheduled for 11:00 AM, Wednesday, September 5, 2018 at Hillside Cemetery with Reverend David Bittle officiating, entrusted to the care of Wadley’s Funeral Service. Helen was born February 2, 1933 in southeasten Oklahoma to Isaac Ike and Miranda Jane (Meyers) Jones. She married the love of her life, Raymond Lansdale on September 14, 1949. They made their home mostly in Purcell, where they faithfully attended the Calvary Holiness Church. They shared everyday together for 67 years. Helen was proud of her children and grandchildren. She enjoyed farming, raising cattle, and fishing with her husband. Helen also loved to cook and take care of her flower gardens. Helen is preceded in death by her parents, Ike and Miranda Jones; her husband, Raymond Lansdale; her oldest daughter, Shirley Sharp; her youngest daughter, Debbie Lansdale; two sisters, Ellen Jones, Lorene Jones; two brothers, John Jones, and Ervie Jones. Those left to cherish her memory are her daughters, Carolyn Hodge and husband, Butch of Elmore City, Dorothy Beauchamp of Davis; grandchildren, Vanessa Drake of Erick, Lea Ann Brown of Oklahoma City, Gary Raymond Hodge of Elmore City, Sarah Beesley of Davis; great grandchildren, Jacie Carr, Whitney Carr, Dace Drake, Laney Drake, Harley Beesley, Hailey Beesley; sister, Rosie Tilley and husband, Logan; brother, Jim Jones, and many other relatives and friends.